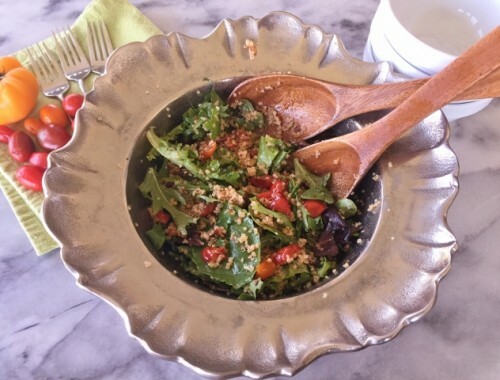 Fall Chicken Salad - Recipe! - Live. Love. Laugh. Food. 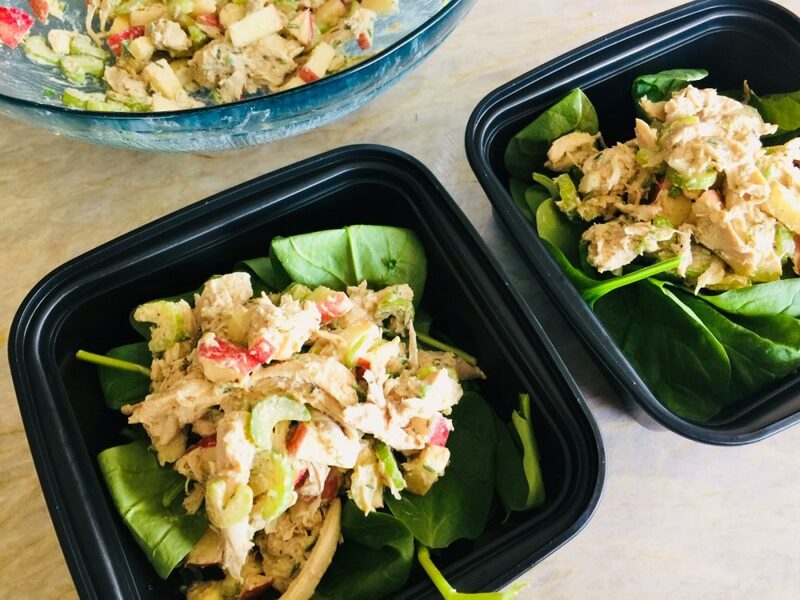 Chicken salad is one of those staple recipes that is easy to put together and tastes delicious over mixed greens, or between two slices of bread. 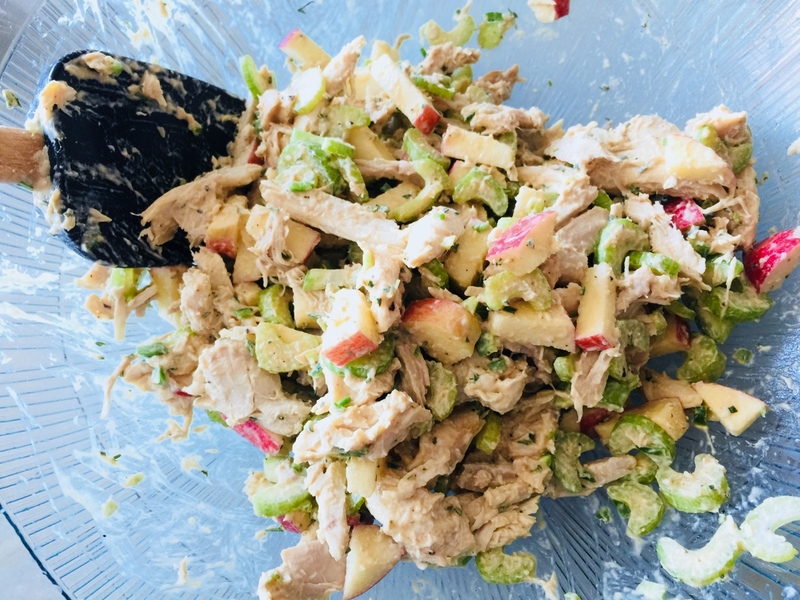 I like to change up the ingredients from season to season because there are so many different things you can add to a bowl of chicken salad to make it taste fresh and alive. For starters, the same old mayo dressing needs to go during the fall. 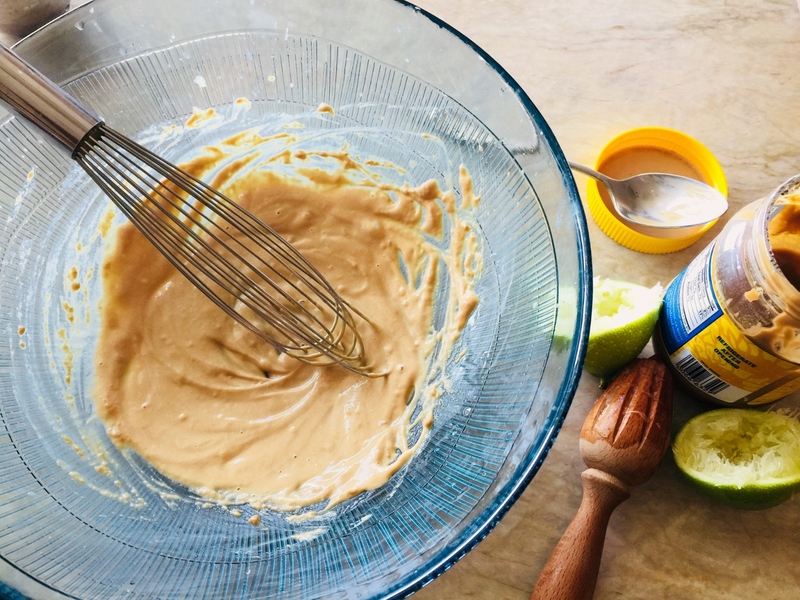 I prefer to use a nut butter mixed with fresh lime juice for a different creamy twist. 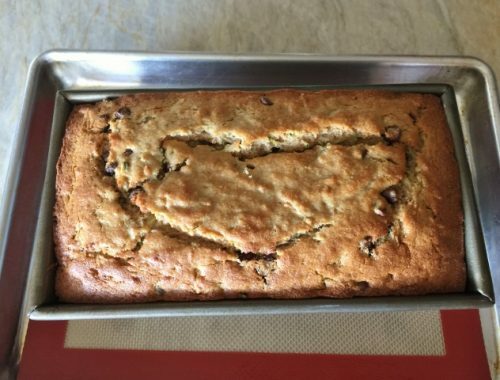 The chicken will absorb a slight nutty taste, which deepens as it sits in the refrigerator. 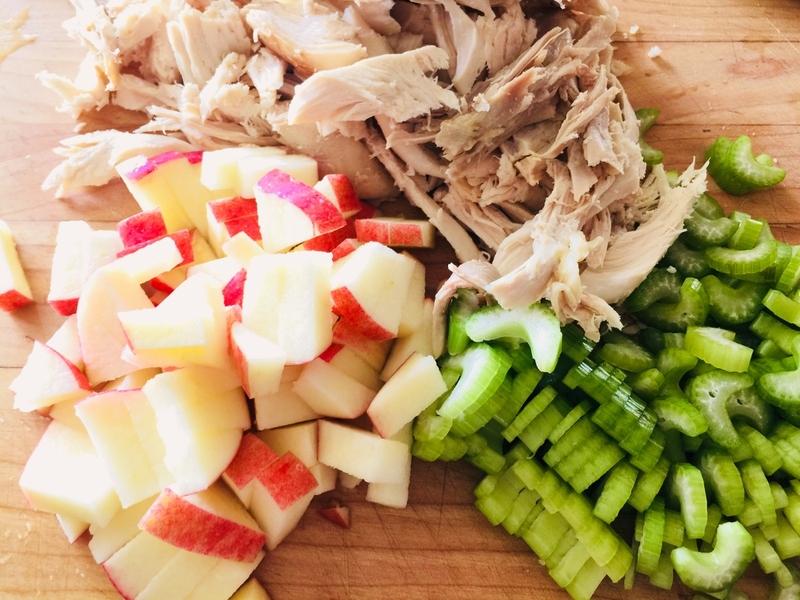 Also, adding some diced apples and celery make all the sense in the world because who doesn’t love a little seasonal crunch? 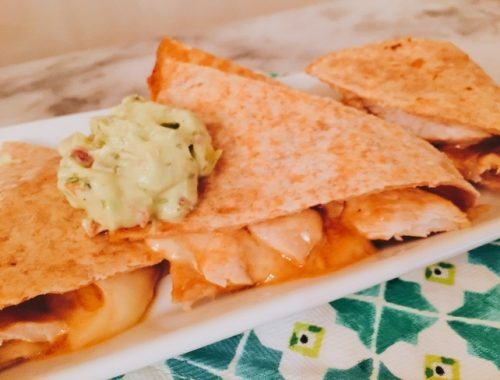 You can either buy rotisserie cooked chicken breasts or poach your own for this recipe. This chicken salad is something that will not only make you feel like fall is here, but it will keep you coming back for more. 1. Shred chicken, removing bones and skin. Dice apple and slice celery, set aside. 2. In a large bowl, add sunflower seed butter and lime juice, whisk until smooth. Add 1/4 cup of hot water to thin. 3. 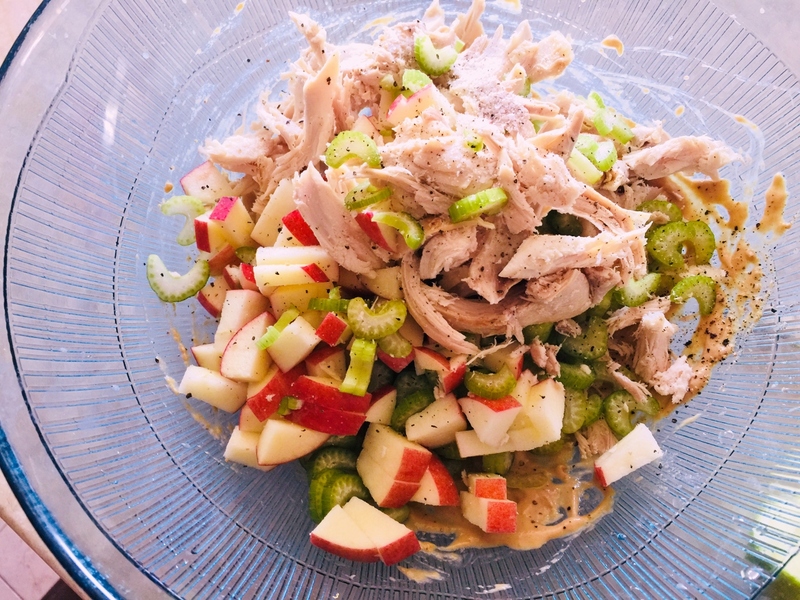 Add chicken, apple and celery to dressing and toss to coat. 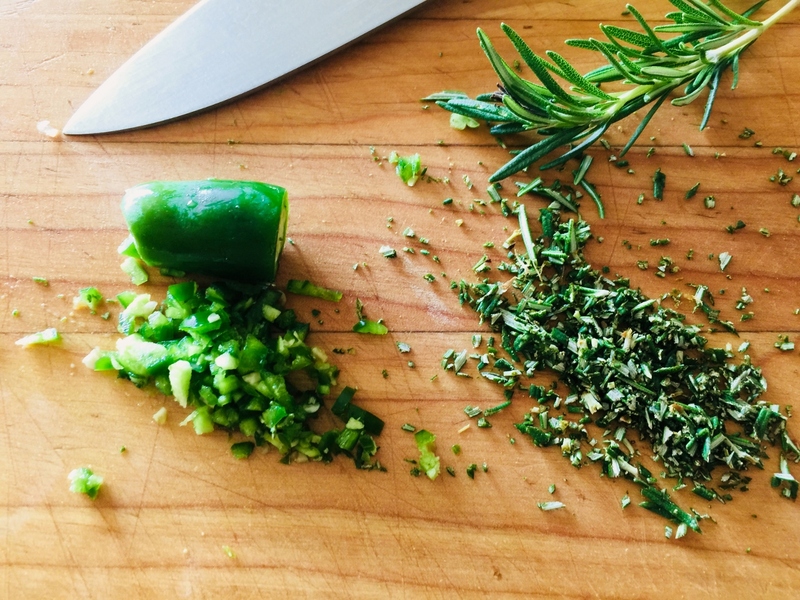 Mince Serrano and finely chop rosemary, add into chicken salad and toss. 4. Add 1 teaspoon salt and 1/2 teaspoon black pepper, toss again. Scoop over greens or onto a piece of grainy bread. Enjoy!